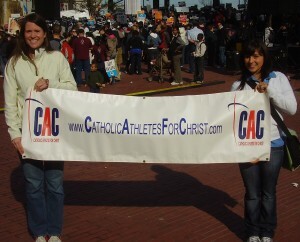 Catholic Athletes for Christ (CAC) will be actively present at tomorrow’s National March for Life in Washington, D.C.
Catholic Athletes for Christ (CAC) recently announced that Darrell Miller, former Major League Baseball (MLB) player with the California Angels and currently director of MLB’s Urban Youth Academy, will receive the fourth annual CAC Courage Award. The award recognizes superior Catholic evangelization in sports. 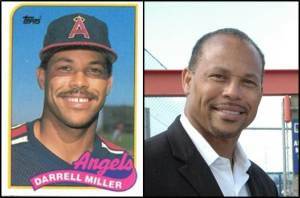 Miller, who played professionally with the Angels as a catcher and outfielder from 1984-1988, will be presented with the Courage Award at a public reception event on October 21, 2014, at “Top of the Town” in Arlington, Va. Miller has been a supporter of CAC since its inception in 2006, serving on the organization’s Athlete Advisory Board and its speakers bureau. Previous CAC Courage Award recipients were Rick Eckstein, Washington Nationals’ former hitting coach (2011), Kerry Fraser, former NHL referee (2012), and then-Deacon Chase Hilgenbrinck, former professional soccer player (2013). 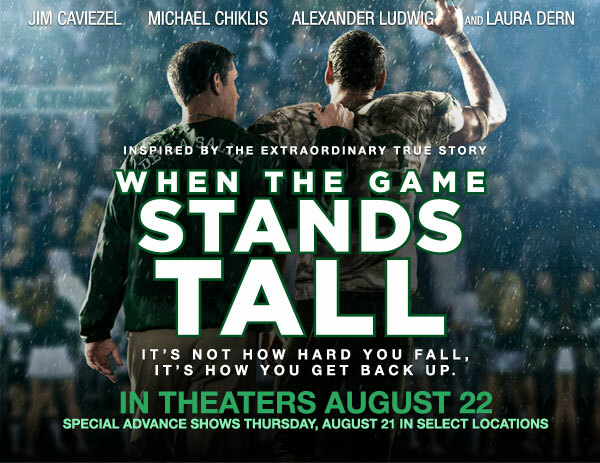 Inspired by the extraordinary true story, WHEN THE GAME STANDS TALL brings to life the incredible winning streak of the De La Salle High School football team: 151 straight victories over 12 years. But when real-life adversity leaves the team reeling, the Spartans must decide if the sacrifice, commitment, and teamwork they have always trusted in can rebuild what is now disintegrating around them.